I started writing when I was about 14, as a way of coping with emotional difficulties I was having at the time. A good few years later I joined Writing East Midlands as an apprentice and through them I met the Mouthy Poets and was introduced to performance poetry. Throughout my time with Mouthy I built my knowledge as a poet and as a facilitator and decided I wanted to support young people who were going through similar difficulties to me, through the use of poetry and writing, and so I founded an organisation called Write Minds working specifically with individuals experiencing self-harm, suicide and mental health difficulties. Alongside this, I performed across the UK and in Europe, my writing primarily based around my own mental health struggles. In recent years I have found myself wanting to explore further areas of my personality, in particular my sexuality, as being an LGBT poet is something I hadn’t delved into previously in much detail. At the same time, I still want to hold on to my passion to support people and celebrate their talent and achievements and therefore, designed a project for the LGBTQIA community, a community that hasn’t had much light in the writing community in Nottingham. 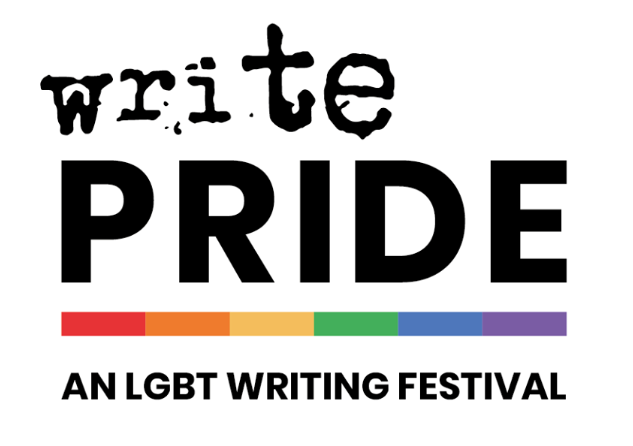 Write Pride is a 5-day writing festival celebrating LGBT writing talent from Nottingham and across the country – happening from the 23rd to 27th July. Each of our 5 days focuses on a different form of writing: Prose, Film, Songwriting, Poetry and Theatre and each includes a 3-hour masterclass with a professional writer followed by an evening celebration event. Each of the days is based in a different venue, spreading our talent and Pride across Nottingham. The events are celebrating LGBT talent, but are open to everyone. Nottingham is my home town and the writing community here has grown substantially over the past few years, there’s a real buzz around the young talent emerging from the city and there’s always something going on for creatives. However, I rarely see LGBTQIA focused events and, considering the growing community we have in Nottingham, I wanted to give them the limelight. Personally, I am at a really good place emotionally and mentally and I am ready to start exploring more aspects of my personality as a writer and to get to know the community I am part of. Pride for me has always been a day of celebration but I have very rarely seen this go beyond the performers we have on Broad Street on the day of Nottingham Pride. There is more to our community than what we see on that day. Write Pride hopes to give a stage to the greater LGBTQIA community. You’ve got some amazing people delivering events for you. Was it hard to get them on board? Truthfully, no. Our writers are all so passionate about what they do and the LGBTQIA community, they were all delighted to come on board and have been a pleasure to work with. We have hired our writers through a mixture of methods – a few I have had the pleasure of working with before, but the rest came from recommendations and applications. I am so impressed with the line up we have; I do often wonder how we managed it but it’s about the passion, and all of our writers have that in abundance. What do you want writers to take away from Write Pride? Inspiration, knowledge but above all a sense of community, a creative community that they can build on in the future and feel proud of. We hope to see writers build on their material and maybe even see a few of them come back as feature writers next year and the year after that. Where can they find out more and book tickets? If anyone doesn’t have access to Facebook, they can email writepride2018@gmail.com and we will provide any information on what is happening and where tickets are available.